Still not a stinkin' Princess. Breeding Licenses allow you to apply for a license for a species of creatures and it allows you to have up to 6 additional animals of that species for the sole purpose of breeding. These animals can not be used for anything other than breeding / selling. Please understand that if there is already a large number of licenses for that species you may not be approved. You may only have one breeding license per solo player and two Breeding Licenses per tribe. Before adding these extra dinos to your breeding program, you must apply for the license by submitting a ticket through the pink “Get Help!” icon on the right side of your screen. Copy and Paste the following form, fill it out and hit that submit button! A staff member will be in contact with you once it’s been processed - please be patient! A Breeder’s Page with information on your breeding program is optional but highly suggested. What you aim to achieve with your breeding line: With my Parasaurs I hope to breed in a line with strong ties into Stamina, weight and health to create the perfect material-hauling beasts. Additional Comments: I feel like my line will add a lot of utility to people's lives, as well as some much needed cuteness. So where do I apply for a breeding licence? Edit: Cross that, seems I'm too tired to read atm.. This will be fun then! Is there a list anywhere of how many breeding licenses are in circulation at present for each type of beastie? Sorry for the delay. That's a great idea! We can get that whipped up. Edit: It's done and added to the original post! I'd love to invest in breeding, especially with the potential in my Carnos, but alas... work makes focusing on breeding... impractical. 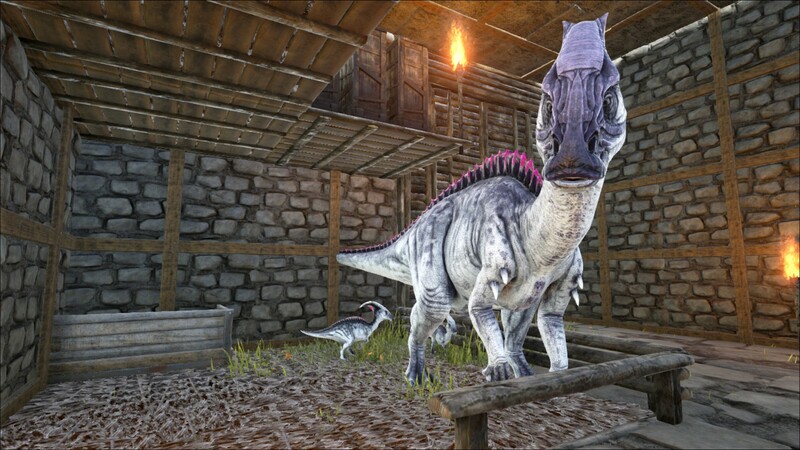 As far as i know i'm the only person on the server with a breeding license for spinos but in game someone else was selling fertilized spino eggs over the radio so how are the licenses/lack of licenses being applied in game? OP updated with current licenses.